Hey! Habe mal wieder einen neuen Reisebericht fertig bekommen War ein netter Anfang, Cabo Polonia and Punta del Diablo waren aber sicherlich die Highlights im Land! Werde schauen dass ich die Berichte dazu auch bald anfange. 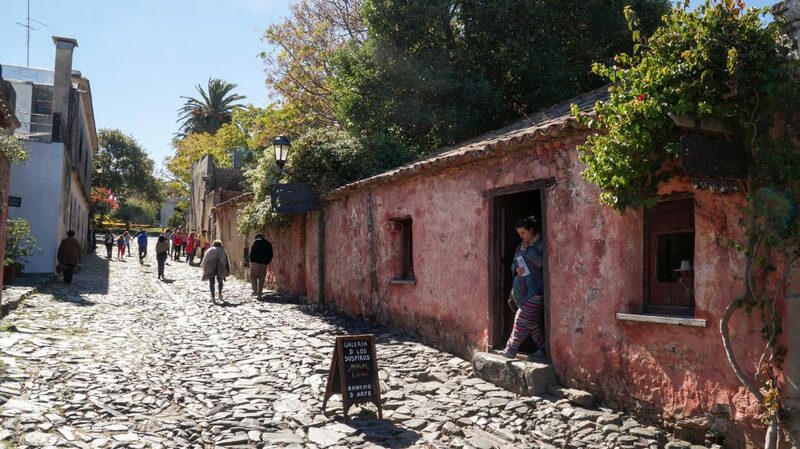 It was pretty easy to get into Uruguay, multiple ferry companies offer rides from Buenos Aires, making Colonia del Sacramento the most visited town in the country. My ride set me back 25€ and it took an hour to reach the other side of Río de la Plata. I was picked up by my Couchsurfing host and her son, soaking in some first impressions on the way back to their house. Since it was already late, we just shared a nice dinner and set out to explore the town the next day. 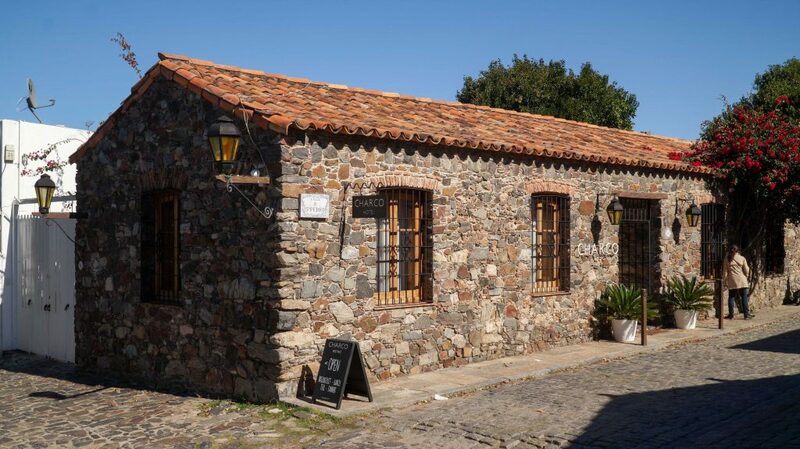 Colonia del Sacramento was added to the UNESCO World Heritage list based on the historic center, featuring beautiful houses next to cobblestone streets; calle de los suspiros being the definite highlight. It is a great spot to take pictures and you should make sure to come early or late in day, hopefully avoiding all the tourists ruining your shots like it was the case with me  From there, it is just a short walk towards the Citadel gate and the brown colored waterfront, leading to the second major attraction: A white lighthouse, built in 1857 and used as a viewpoint for those who want to spend a few Uruguayan pesos (~20) to get up there. Thanks to my hosts, I was also able to see some of the less frequented areas and especially enjoyed walking around the Teatro Bastión del Carmen. 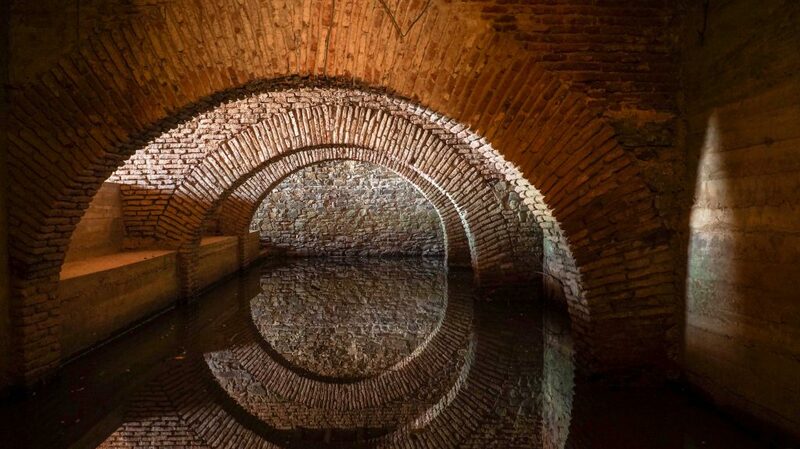 Not only does it feature some nice wooden sculptures in the grass next to boats anchored in the brown water, but you can also get inside into a little dungeon like cellar with some nice water reflections, called Agua bajo el Teatro. You might also want to check out for any events going on in the theatre itself if that is your cup of tea. 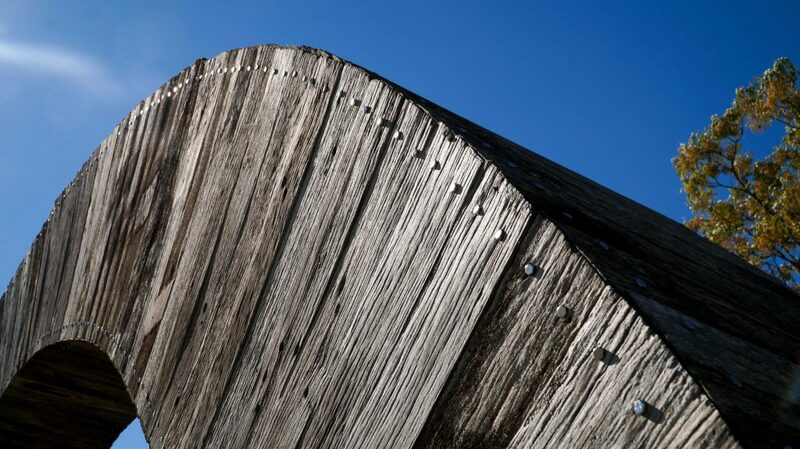 I used my time to take some more photos of the wooden art outside before we went out to eat some asado. 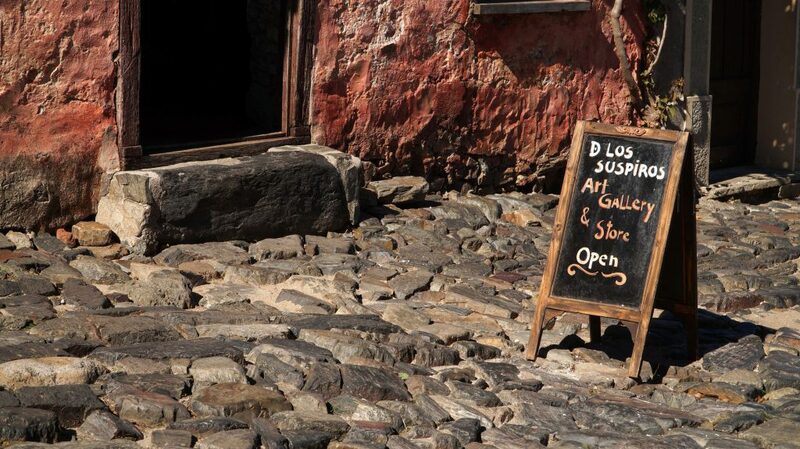 To sum up, I was enjoying my short time in Colonia as it is a pretty small town and easy to walk around without having much traffic around. 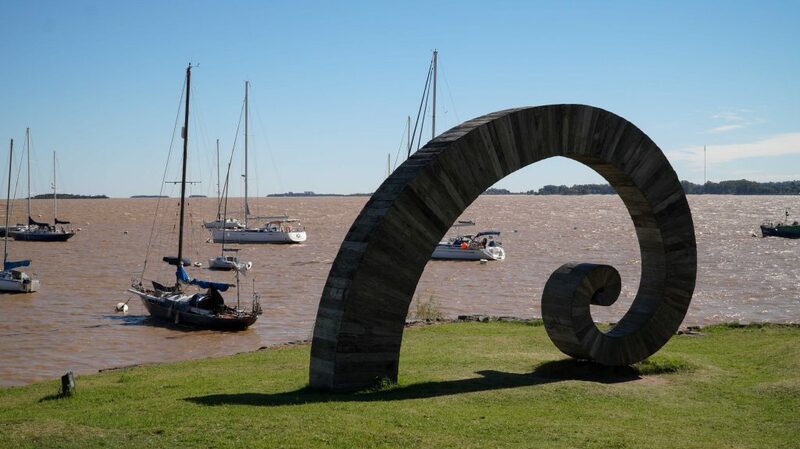 My next stop was Uruguay’s capital of Montevideo, just 2 1/2 hours away with the bus, before finally venturing out into the nature again with hikes to Cabo Polonia and Punta del Diablo!